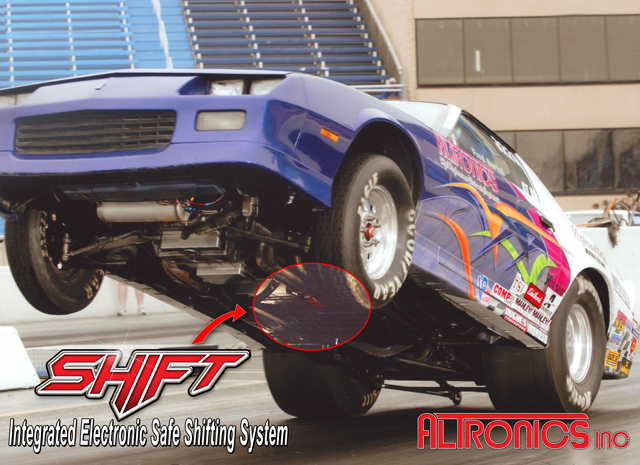 shifting system provides an accurate, fast, simple, and safe means to control your automatic performance transmission. 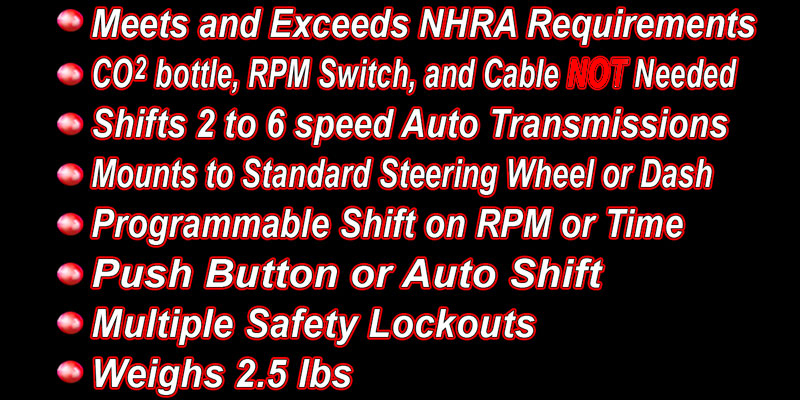 Simple push button control allows for manual shifting with multiple integrated mechanical and RPM based safety lock outs to inhibit accidental shifting into Reverse or Park. Easy to view backlit display shows current gear selection. Control module designed to mount to standard steering wheel providing convenient and ergonomic use. Module can also for mounted on dash or floor. Integrated programmable automatic shift points can be based on time or RPM. No external rpm shift control box needed. high speed motor controlled actuator replaces shift linkage, CO2 air bottle or electric solenoid, and mechanical shift cable. One cable connection can be easily routed. No more bound or frayed shift cables to impede proper shifts or refilling empty CO2 bottle. can be programmed for various transmission types and gears. No need to have multiple linkages for different transmissions, one system can be used on all of them. Powerglide, Three Speed, or up to six speeds with Clean Neutral or Reverse patterns no problem! Breakout cable to allow remote connection to button or paddle switches to control shift UP/DOWN function. 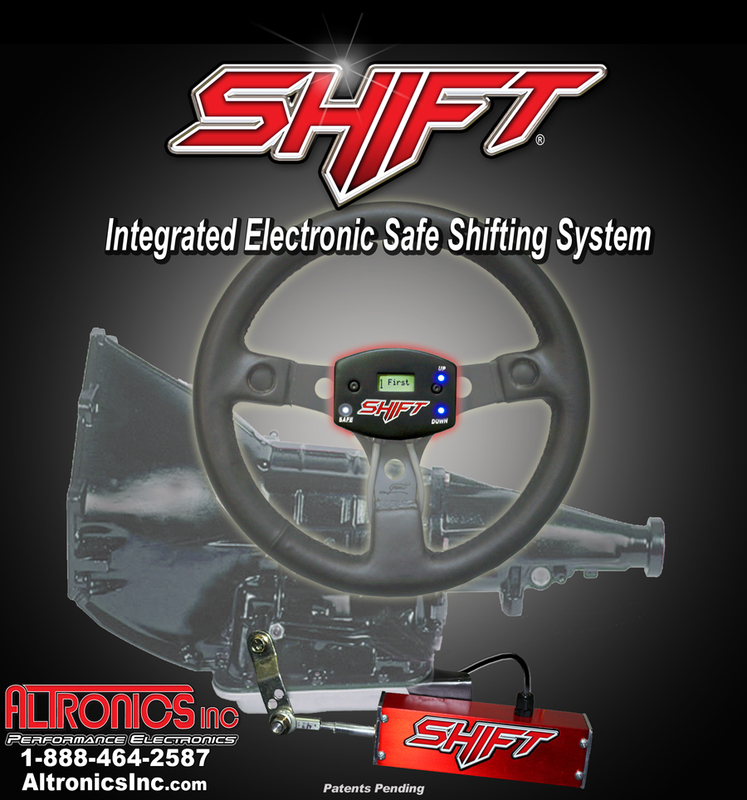 ALT-SHFT-WP Image Not Available SHIFT Wireless Paddle Option -Please Contact us for more info!